If you have been convicted of a crime, your can act to restore the rights that you have just lost. How? By requesting a Certificate of Relief from Disabilities. You can do this as early as at your sentencing if you take the proper steps to apply for this certificate. The Certificate can make you eligible for certain professional licenses restore your right to vote, show employers and landlords that you are working to rehabilitate yourself and get your life back on track. If you have been convicted, you should begin the process of applying for this certificate immediately. However, you should know that while this certificate will show up on background checks, it will not clear or cover up a DMV record. 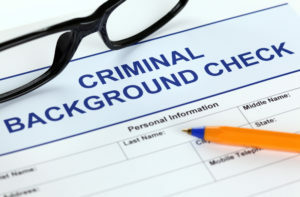 Additionally, if an employer conducts a background check on you, your felony conviction will still appear. Rather, your certificate will appear next to these crimes to show that you still qualify for the position that you are applying. Unfortunately, as you might have learned by now, having a criminal offense on your record in the first place tends to hinder your chances at getting a job – especially if there are many people applying. Bottom line? Even after you are granted a Certificate of Relief from Disabilities, you may still have to take some additional steps to polish your criminal record and look your best for potential employers and landlords. If you have received your Certificate of Relief from Disabilities, but would like to take further steps to clear your criminal record and live a life free of the burden of a conviction, New York law allows the conditional sealing of convictions under certain circumstances. If you qualify, you may want to apply to have your criminal record sealed. Criminal record sealing may help you when you are applying for jobs, housing, and so on. Some states allow offenders to completely erase their criminal record through a process called expungement. New York does not expunge adult criminal records. Record sealing is limited to certain offenses, and it may take a few years before you can apply, but if your record is sealed, you will be able to apply for (most) jobs and housing without worrying about the results of a background check. Unless you are applying to be a peace officer or hold a gun during a job, your criminal past will not appear to potential employers. When you seal your record, you can also remove dropped charges, arrests, and misdemeanor crimes that might otherwise limit your options. Sadly, the consequences for felony convictions and other criminal acts do not end after you have completed your sentence, but using the above tools can provide you with a second chance at life without having to carry around the baggage of your past. Talk to a New York criminal defense lawyer today to learn more about your options and how to apply for relief and record sealing.